Arden tuning firm is already a famous name. Their impressive tuning packages for the Land Rover models remain unchallenged by any other and they have clearly cut out the Land Rover brand as their very own. 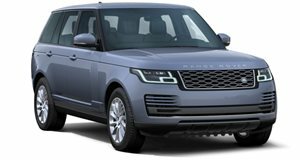 Their latest package is based on the Range Rover LM and is called the AR 7 Highlander. The tuning package includes both exterior and interior updates, as well as a pretty nice performance upgrade. Outside, the aerodynamic package includes a redesigned front and rear apron, side skirts, fender flares, and a hand-made stainless steel grille. The performance upgrade sees the delivery of an extra 50-horses to the car's overall power. In order to handle the surge of power, Arden has installed an electronic suspension system too. Inside, the interior sports a new center console with a mini-bar and the highest quality materials. The bar is also equipped with a cooling unit that delivers a constant temperature.